String Serenades is a collection of thirteen easy pieces for young players presented in a progressively challenging sequence. 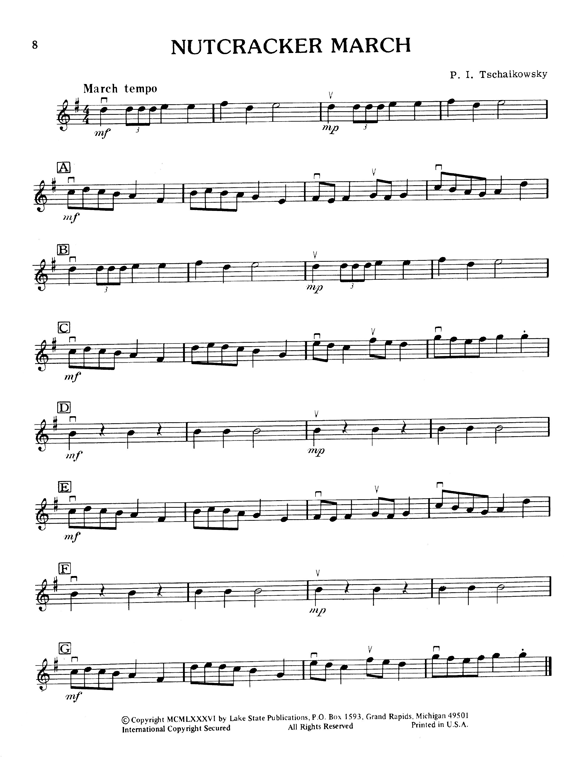 The first violin part is arranged with the more advanced players in mind. 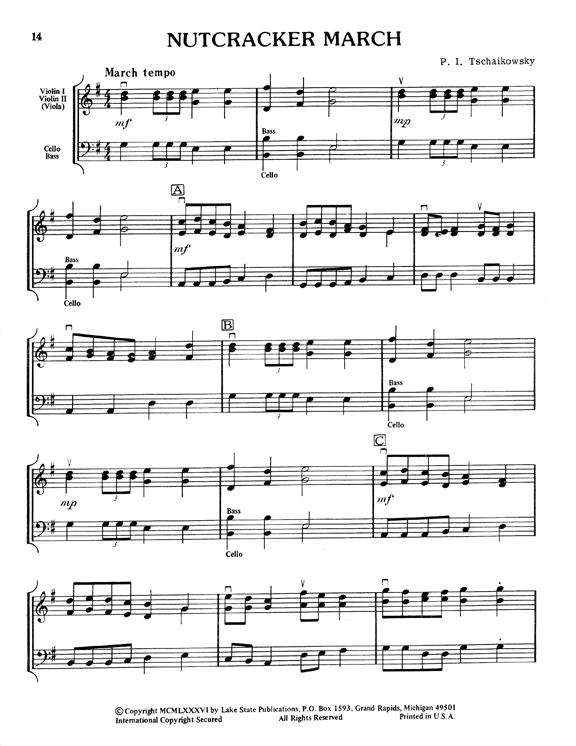 The second violin and viola parts are identical except for clefs. Cello and bass frequently have the melody to play. Piano is optional. 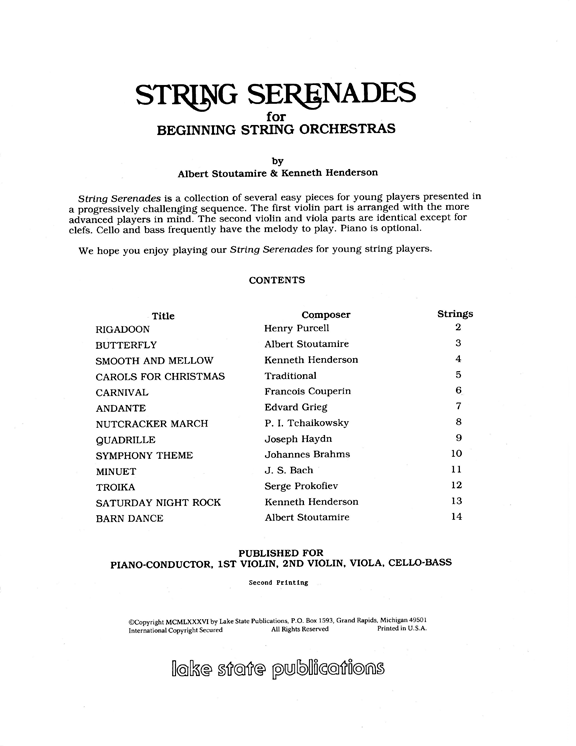 We highly recommend this fine collection for your young string orchestra.